Monet isn’t just another lust-struck teenager trying to win the heart of Rock God Jeremy Bane—she needs the prize money from his new reality show to cure her illness. But the real Jeremy Bane is nothing like she imagined. Monet finds herself fighting against feelings that make her want to give in to her attraction and Jeremy’s attempts for a kiss. The further she goes in the competition, the more impossible it becomes to resist him—and when the producers turn the tables and start digging up dirt on the contestants, Monet fears her secret will be revealed before she’s ready and ruin everything. This book threw a curve ball when I realized it was dystopian on the second page. 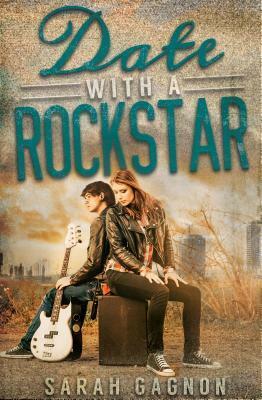 I thought this was going to be a modern-day contemporary romance, and I think I would’ve liked it better if it was. I just did not like the dystopian aspects of the book. The world building was interesting, sure, but still could sometimes be confusing. It just seemed out of place for this type of book. I think this book may be compared to The Selection, which I loved, but I think the dystopian theme fit for that story a little better than it did for this one. Monet has a curable disease. The problem is, it costs a fortune to get the cure, and Monet and her mom are poor. Insert in a reality tv show where the winner gets a cash prize and a chance at love. Monet loves Jeremy’s music (and looks), but her main reason for entering the competition is for the money. If she wins, she will be able to afford the cure and her mother will not have to work as hard as she does anymore. Monet is chosen as one of the ten girls to compete on the show. She realizes fast, though, that all the other girls around her are very wealthy and not there to make any friends. However, Jeremy isn’t as phased as she is by this development. He takes a liking to Monet right away and they steal a few moments together. I did think the romance was cute. Jeremy was sweet and never the stereotype “bad boy jerk” rockstar. I really liked that he was genuinely a great guy. He did have a couple moments with some anger problems, but he didn’t let it get out of control. Monet and Jeremy were a good fit for each other. Overall, I liked the book. I think if you liked The Selection then you may like this book as well.